Norwegian is strengthening its balance sheet through a fully underwritten rights issue of three billion NOK in order to increase its financial flexibility and create headroom to the covenants of its outstanding bonds. The company has during the past years made considerable investments in new aircraft and launched a wide range of new routes, not least intercontinentally. The growth will now abate and the profitability increase. 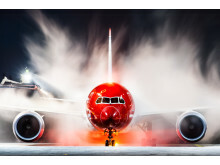 «Norwegian has been through a period of significant growth. Going forward, we will see an increased focus on cost savings and CAPEX reductions. We will now get in place a strengthened balance sheet that supports the further development of the company. We are very pleased to see that our main shareholders offer strong support in a time where the market is still challenging. 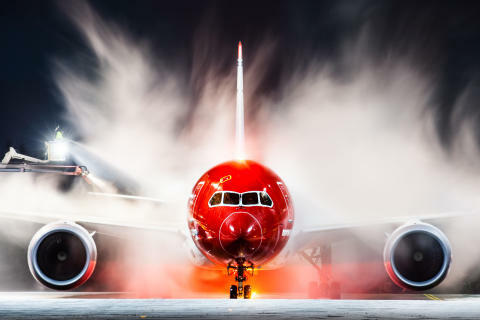 With the strengthened balance sheet, the organization can now devote all its attention to further development of the company,” said CEO Bjørn Kjos of Norwegian. The additional capital of three billion NOK will be raised through a fully underwritten rights issue, which will be voted on during an extraordinary general meeting on February 19, 2019. In connection with the fully underwritten rights issue, the company will publish its Q4 2018 results on February 7, 2019. The traffic results for February 2019 will be published on March 11, 2019. CEO Bjørn Kjos will be available for the media at Norwegian’s Headquarters in Oksenøyveien 3, Fornebu, Norway from 9:30am to 10:00am on Tuesday. No other interviews will be conducted. For more information, please read the notice to the stock exchange here.